Where did the conquerors of Troy go? 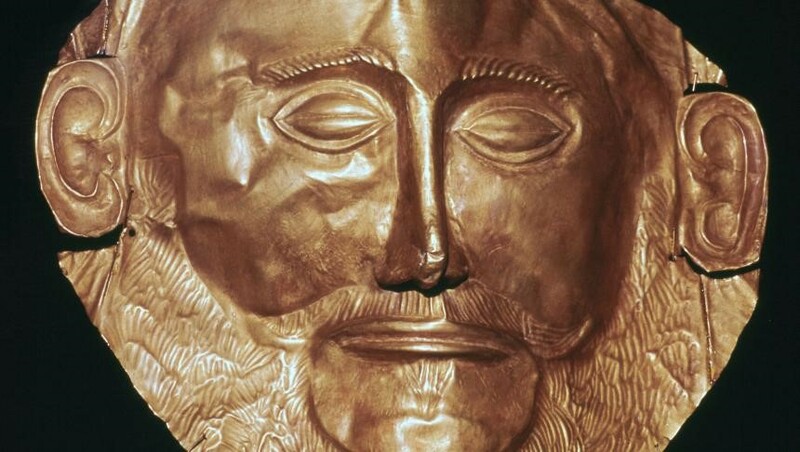 Beyond the acts of heroism of some chieftains as Achilles and Agamemnon, whose remembrance was preserved in Homer’s epic poems, the Achaeans, precursors of classical Greek civilization, stood out as creators of a outstanding civilization in the late Bronze Age, clustered around the majestic palaces in Mycenae, Tirins or Pylos. Sudden destruction of these centers around 1200 BC is arousing intense interest among modern scientists for almost 150 years, since it was archaeologically identified. 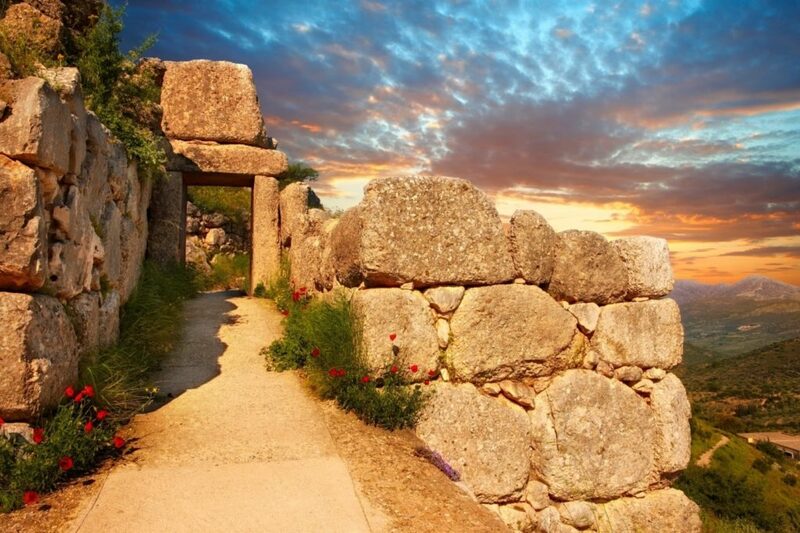 While the reasons behind the decay of Mycenaean civilization are still shrouded in mystery, a second question, “What happened with the Achaeans?”, seems to find spectacular answers, in light of the latest research. The legendary figures of Achilles, Patroclus, Agamemnon and Odysseus belonged to a mysterious civilization. In 1876, German archaeologist Heinrich Schliemann, the discoverer of Troy, began excavations at Mycenae, in the Argolid (northwestern Peloponnese). Only then, this civilization began to unfold for the modern historians. Thus, Schliemann also discovered the first great political center of the Achaeans, “Troy’s attackers”; from the name of this center, civilization itself will further be known as the Mycenaean civilization. Ever since, researchers have been able to determine many features of this civilization. The main political-military institution was the palace, the place where the ruler lived. Here were concentrated the most important warriors as well as the administrative body, (consisting of scribes and other officials), deposits and craftsmen. Although for a long time it was thought that the palaces scattered from central Greece to southern Greece would have been the headquarters of independent kingdoms, apparently, in fact, at least for a certain period of time, they were only residences of local leaders subjected to a great king, whose capital was at Mycenae. It’s believed that his power was so great, that he had control over certain bridgeheads on the coast of Asia Minor, such as the Mycenaean bridgehead Millawanda (later in the classical era, Miletus, today Balat, Turkey). Support granted to enemies of the Great Hittite King, of the most powerful monarchs of the ancient Orient during the Bronze Age, competing with the Pharaoh of Egypt, brought him into direct conflict with the Pharaoh. The power of the sovereign of Ahhiyawa, as he is depicted in Hittite archives, was so great, that the Great King finally recognizes him as his equal. Indeed, outside of expeditions in Asia Minor, Achaeans came in search of metals to Sicily and were frequently trading with Egypt, which was under the reign of pharaoh Akhenaten. Linear B tablets, Mycenaean syllabic writing, deciphered in 1953, show an exemplary fiscal and administrative organization and a flourishing economy. The same tablets prove that Achaeans spoke a proto Greek language, which demonstrates that not only territorially, but also ethnically, Achaeans are precursors of the Classical Greeks (from Greek Classical Period). Despite the remarkable development of the space inhabited by Achaeans, excavations recorded strong traces of destruction of most Mycenaean palaces around 1200 BCE, followed by a significant decline of material culture in all settlements in Greece. The classic explanation is that of the Dorian invasion, another Greek primitive tribe, living in northwestern Greece and would have migrated to the south. 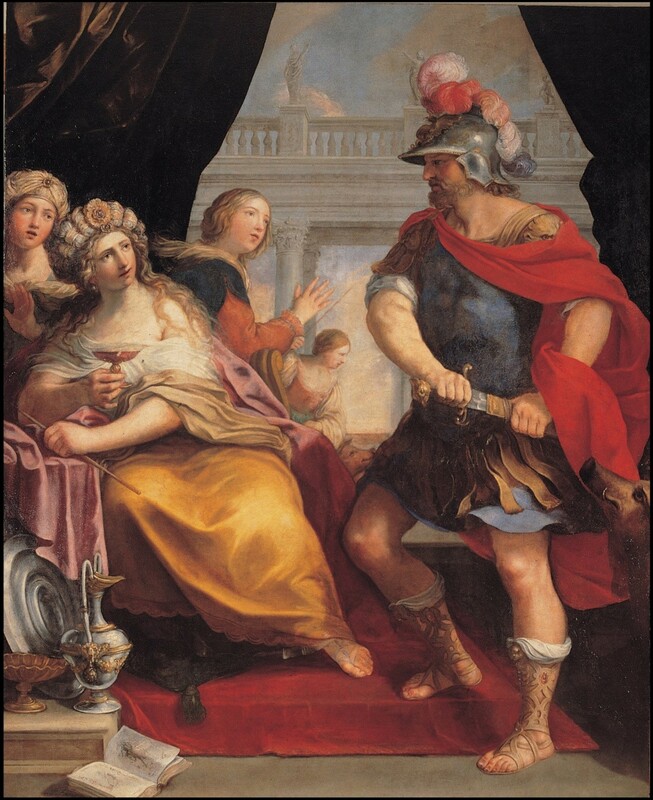 The event is found in the Greek mythology of the classical era as the Return of the Heracleidae; the descendants of Heracles, whose sons had been exiled in the Peloponnese after their father’s death, and returned in later generations from Thessaly to reclaim the dominion that Heracles had held in the Peloponnesus. However, there are many aspects that cannot be explained by an invasion of barbarians from the north; therefore, a number of assumptions have been formulated, such as prolonged starvation and popular uprisings. Researchers are currently supporting a complex theory, according to which invasions, rebellions, drought and famine have their role: weakened by internal quarrels, Achaeans rulers seek the support of shepherd tribes that inhabited northern Greece; these tribes were taking advantage of the difficult social and economic situation at a time to take over the Peloponnesus. What happened to the Achaeans? Some regions inhabited by the Achaeans (for example, Attica and northwestern Peloponnese, which in the classical era was known as Achaea), were not affected by the destruction. But important Mycenaean centers of Mycenae, Argos, Pilos or Sparta were completely ravaged. Apparently, their inhabitants were enslaved to their new rulers: the case of Sparta is the most famous; legend has it that Lacedaemonian warriors, descendants of the Dorians, have turned the conquered Achaeans into helots, dependent peasants who worked for their masters (owners) and could even be killed by them. But some of the Achaeans who lived in the most vulnerable regions emigrated. The handiest destinations included Attica, the Aegean islands and the west coast of Asia Minor. However, the Late Bronze Age was a period of instability, not only in Greece but in the whole Mediterranean basin, affected by many population movements. Most likely, Achaeans deployed from the Peloponnese were also caught up in what is called “Sea Peoples’ Invasions”, periodic raids of a population conglomerate from northern Mediterranean, which led to the collapse of the Hittite Empire, to significant damages in the Levant and major efforts of Egypt to repel its attackers. We have more information about who the mysterious “sea peoples” are from the Egyptian monumental inscriptions from the reign of Merneptah (1213-1203 BCE) and Ramesses III (1186-1155 BCE). Thus, among Sherden (predecessors of Sardinians? ), Shekelesh (predecessors of Sicilians? 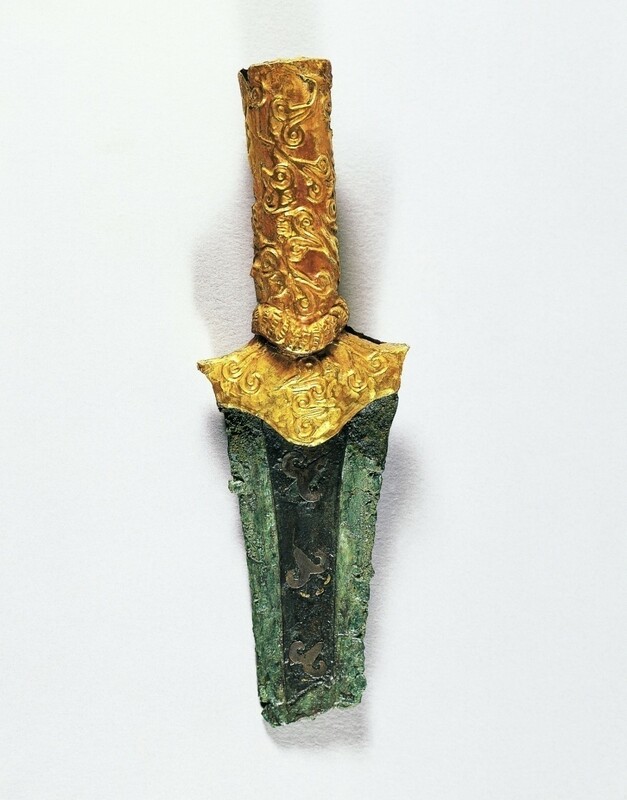 ), Lukka (Lycians from southwestern Asia Minor? ), Teresh (Tyrrhenians from Asia Minor, the predecessors of the Etruscan civilization? ), the Tjeker (Teucrians near Troy? ), there are also Denyen and Ekwesh which, on the basis of phonetic similarities, were identified by some researchers as Danao and Achaioi, the name by which Mycenaeans are known in Homer’s epics. Proponents of the hypothesis according to which displaced Achaeans from the Peloponnese was one of the “Sea Peoples” began to seek other arguments. The handiest argument was provided by Cyprus; during the Bronze Age, Cyprus came under the influence of Ugarit and of the Hittites, whose dialect was similar to that of descendants of Peloponnesian Achaeans. Legends recalled the arrival of heroes from Troy, as the Arcadian Agapenor or the Slaminian Teucer, who established the main cities of the island. Excavations have shown that while Mycenaean housing elements have already appeared around 1350 BCE, they became popular since 1200 BCE. Ceramics and funeral rites are changing significantly, influenced by the patterns and habits of the Achaeans. Ceramics known as LH IIIC (from Late Helladic III C) appeared and was developed in Cyprus, but pit and cremation graves are also began to be certified. Moreover, around 1000 BCE, Cypriot syllabic script was already recording the first Greek name, Opheltas, engraved on three ritual bronze spits from Palaipaphos. Cyprus was an obvious candidate for a mass Mycenaean settlement – for Mycenaean who fled Peloponnese. Other regions are also showing signs of an Achaean migration at the turn of the Bronze and Iron Age. One of the most spectacular is the southern region of ancient Palestine, between the current Tel Aviv and Sinai Peninsula, region inhabited by Biblical Philistines in the first half of the Iron Age. The Bible is providing the first interesting facts about the origin of the Philistines. They are not circumcised (Jud. 14:3, 15:19; 1 Sam 17:26, 17:36; 2 Sam 1:20) and they came from the land of Caphtor. (Amos 9:7; Jeremiah 47:4). Several other archaeological and linguistic arguments were added to these clues in order to support an Aegean origin: as in Cyprus, shortly after 1200 BC, LH IIIC ceramics has spread throughout the five major cities on the coast, Gaza, Ashkelon, Ashdod, Ekron and Gath, and then throughout smaller settlements in the interior; Philistines clay idols, as well as military inventory, described in the Bible in the case of the dreaded Goliath, closely resembles those used shortly before in the Aegean Sea; the very name “Goliath”, but the term “serene”, with meaning “leader”, find their parallels in Western Anatolian and Greek words, such as the Lydian name “Alyattes” and the Greek word “tyrannos”. Archaeology also shows that inhabitants of the Philistine settlements were consuming pork, prohibited by the Hebrew (Jewish) religion, consumed by other populations in the region; they also used objects similar to those in the Mycenaean culture, such as certain types of loom weights Gradually, differences from other inhabitants of the region began to fade, so Philistines would disappear from sources in the sixth century BCE. We cannot talk about clear evidence on Mycenaean origin of the Philistines, since the language of this mysterious people was not preserved. However, all the evidence so far gathered indicates the foreign origin of the Philistines, most likely the Aegean region and southwestern Anatolia. Once they arrived in Canaan between 1200 and 1000 BC, newcomers, who were part of an ethnic conglomerate (including Achaeans), have adapted quite quickly to the local culture, eventually losing their distinguishing features. But they have left the region the name they had received from the native people: Palestine. The most recently invoked and by far the least expected destination for Achaeans is Cilicia, now located in the southwestern coast of Turkey; the most important city in the area is Adana. In ancient times, Cilicia, surrounded by the Taurus Mountains and Amanus Mountains, was divided into Cilicia Trachea (“rugged” Cilicia, in Greek, and known as Hilakku in assyrian sources), located to the west and recognized in Roman times as a huge nest of pirates, and Cilicia Pedias (“flat” Cilicia, in Greek and known as “Que” in assyrian sources), to the east and superimposed on a plain crossed by large rivers, as its name implies. The strategic importance of Cilicia, a region whose size is similar to that of Moldova, was and still is essential. Here is the link between the Anatolian Plateau, north-west and the plains of Syria, with the ancient city of Aleppo, south-east. In the Bronze Age, between 1600-1300 BC, the Kizzuwatna kingdom, conquered by the Hittites, was located in the region. After the dark period between 1200-900 BCE, Assyrian sources mention about the two kingdoms of Hilakku and Que. For almost 300 years, the two regions were a bone of contention between the Neo-Assyrian Empire (roughly comprising the territories of today’s Iraq and Syria), Urartu (located in Armenia and northwestern Turkey) and Phrygia (land of legendary King Midas, who was famous for his ability to change anything that he touched into solid gold, located in central Turkey). After 600 BC, Cilicia is included in the Persian Empire. The first evidence of a link with the Mycenaeans is provided to us by Herodotus and Greek legends. Thus, listing the subjects of the Persian king, “the father of history” points out that in ancient times the Cilicians were known as Hypachaei (Hypachaioi), which means “under-Achaeans” (Hdt. 7.62). On the other hand, geographers and historians of Late Antiquity, as Strabo, Pausanias, Pomponius Mela or Ioannes Tzetzes, are preserving the memory of Mycenaean seer Mopsus, founder of the Oracle of Apollo at Claros, on the west coast of Asia Minor and rival of Calchas, soothsayer of the Achaeans at Troy; the prophet Mopsus had beaten Calchas in a contest of soothsaying. Legend has it that Mopsus left his hometown, Claros, accompanied by his comrades, and took a trip along the southern coasts of Anatolia, up to Cilicia, where he founded (established) a city and he eventually died. Several toponyms (place names) attested from the fourth century BC, such as Mopsuestia (“the abode of Mopsus) and Mopsokrene (“the Springs of Mopsus”) also are potential evidence of his passing through Cilicia. Until recently, these claims were considered by most historians as mere inventions of the Greeks settled in Cilicia during the Hellenistic era, who intended to find some noble predecessors from the time of the Trojan War. The discovery of inscriptions from Karatepe (1946-1947) and Çineköy (shortly before 2000) radically changed the vision of modern scholars. The two inscriptions are bilingual, being written both in Luwian (the local language), and Phoenician (the language of the “chancellery” of Quo state). They date back to 725-675 BC and belong to two rulers of the kingdom: King Awariku / Warikas (Urikki in Assyrian sources) and General Azatiwadas, most likely the lieutenant of Awariku / Warikas after he mysteriously disappears in the context of rivalry between the great powers Assyria, Urartu and Phrygia. Interestingly, the two inscriptions refer to royal Cilician dynasty as “the house of Mopsus” (M-p-š in Phoenician, Mukšuš in Luwian), and the Luwian name of the country is preserved as Hiyawa, reminding us of the famous Ahhiyawa, from Hittite texts. Some researchers bring other linguistic arguments – less secure and reliable – regarding the Mycenaean origin of the ruling elite from Que. Thus, Ayariku / Karikas could be a transliteration of the common Greek word “Euarchos”, name of a god mentioned in the inscription at Karatepe could actually be a Greek name, while the luwian text appears to be a translation of the Phoenician text and not vice versa. So it is possible that the Achaeans who arrived in Cilicia, losing the ability to write in Linear B, have adopted such a prestigious official language, in order to distinguish themselves from their Luwian subjects. The field of archeology also begins to provide a major contribution to support the Aegean penetration into Cilicia. At Tarsus and Soli, two important settlements in the region, preserving traces of destruction during the transition period from the Bronze Age to the Iron Age, significant quantities of the same type of ceramic LH IIIC have been identified. Moreover, after the destruction, loom weights and the architecture have been inspired by models which were already known in the Mycenaean world. While the details are not fully known, the assumption that groups of warriors in the so-called “sea peoples”, led by a certain commander “Mopsus”, would have settled down in Cilicia in the troubled late Bronze Age becomes increasingly likely to be true. A large percentage of these warriors, perhaps even a majority, must have been represented by the Mycenaean civilization. Even though for a while they were constituted in an elite differentiated from the rest luwite indigenous population, as well as their companions settled in Palestine, Aegean warriors were eventually assimilated into the local culture. The memory of Achaeans conquerors who came from the West to whom modern scholars granted no credibility, and in inscriptions and artifacts that have waited 3,000 years to be discovered. While in the last hundred years archeology and linguistic studies have provided several new evidence about the late Bronze Age, the period between 1200 and 1000 BC still remains obscure in many respects to modern historians. However, there are increasingly more signs that the brilliant Mycenaean civilization, that collapsed as a result of a combination of factors (the most important factor appears to have been represented by the attacks of some less developed northern Greek tribes) has been perpetuated for a while by Peloponnesian Achaeans who emigrated to the eastern Mediterranean, especially on the west coasts of Asia Minor and Cyprus. Engaged in extensive population movements that ended the flourishing age of Bronze, the Achaeans have also settled in surprisingly remote areas, such as Cilicia and Palestine. Here, they gradually lost their individuality in a time when writing was becoming a rarity, so nowadays there are few testimonies left for posterity by the last descendants of the conquerors of Troy.